Enjoy the top 58 famous quotes, sayings and quotations by Ayana Mathis. I try to find the beauty in things. On dark days I sit in my armchair looking at clouds and I am awed at how rain is made. It seemed to him that every time he made one choice in his life, he said no to another. All of those things he could not do or be were huddled inside of him; they might spring up at any moment, and he would be hobbled with regret. Fine doesn't call before dawn. like the forces that control the weather, that capable of destruction, that hidden from view. I take in great lungfuls of air. Atom by atom, the oxygen enters my blood and pumps in waves through my veins; it is tidal, this pumping blood. My heart beats mightily. If I ran any faster, gravity would loose its claims on my ankles, and my feet would pedal into the air. No one could tell her why things had turned out as they had, not August or the pastor or God himself. Fiction writing is an act of imagination, lived experience is secondary in many ways, writing a novel really is all about inventing worlds and people. 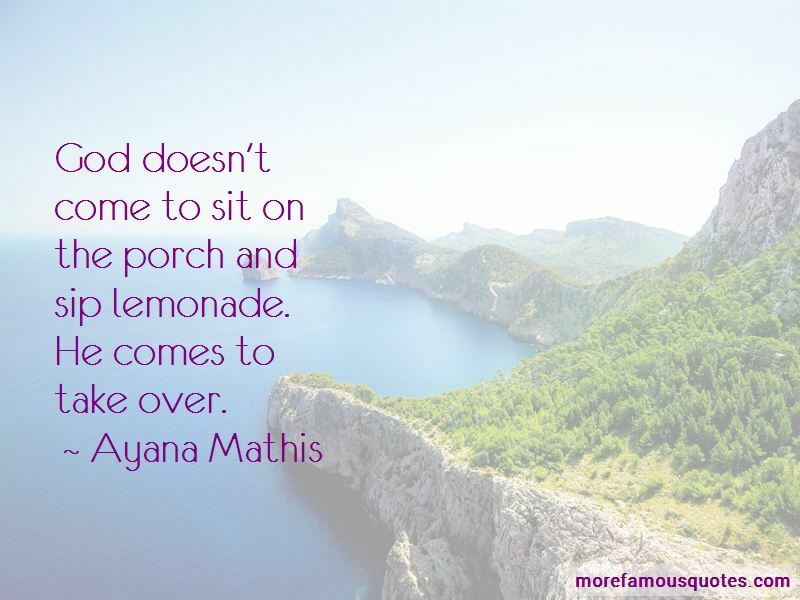 Want to see more pictures of Ayana Mathis quotes? 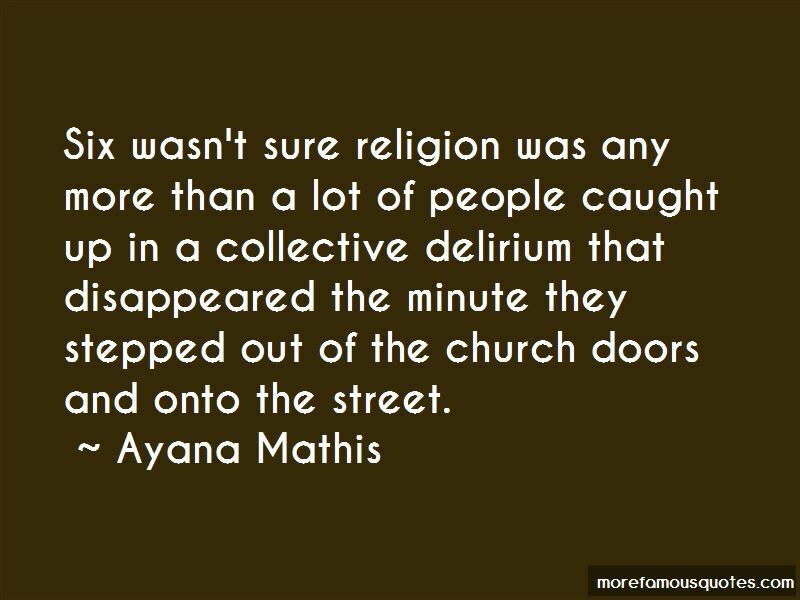 Click on image of Ayana Mathis quotes to view full size.